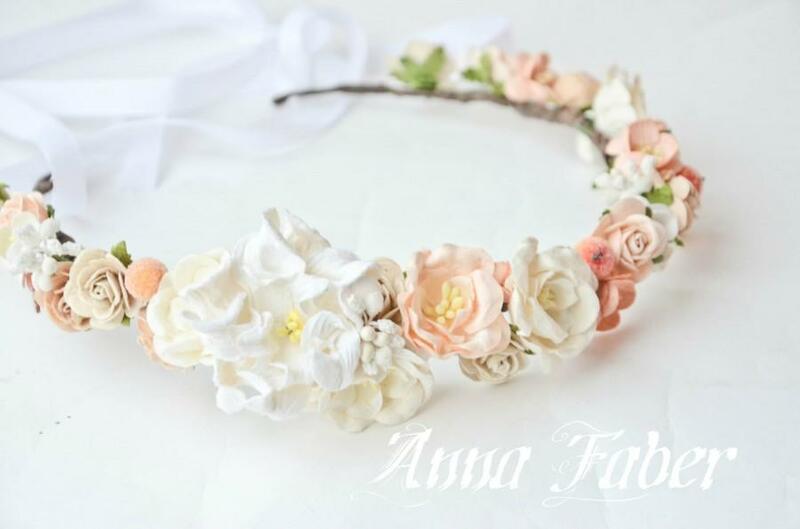 This floral crown Flowers silk paper .Very nice and soft to the touch . Color can be different. Due to the flexible design of wreath individually adapts to the shape of the head. SHIPPING INFO I ship worldwide! It usually takes about 2-3 weeks for international orders to arrive depending upon where you are located and customs. If you need your order in a hurry please message me before you purchase.